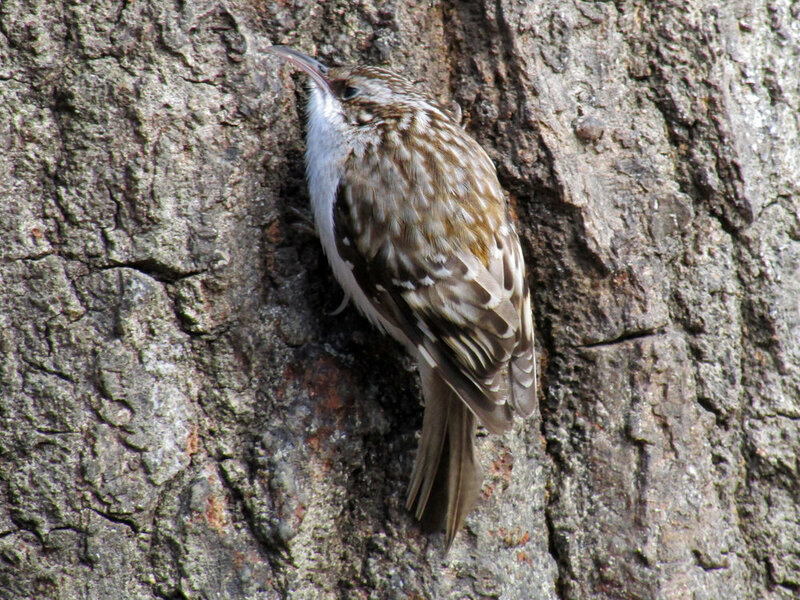 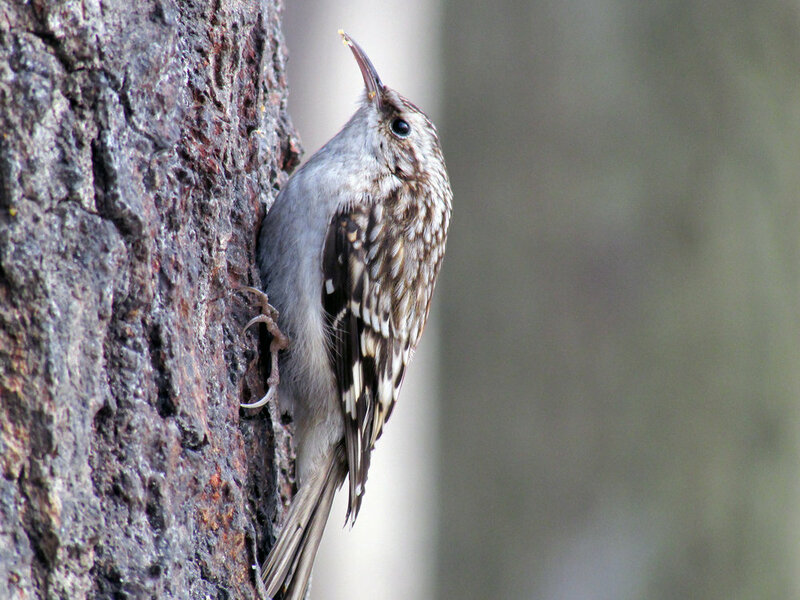 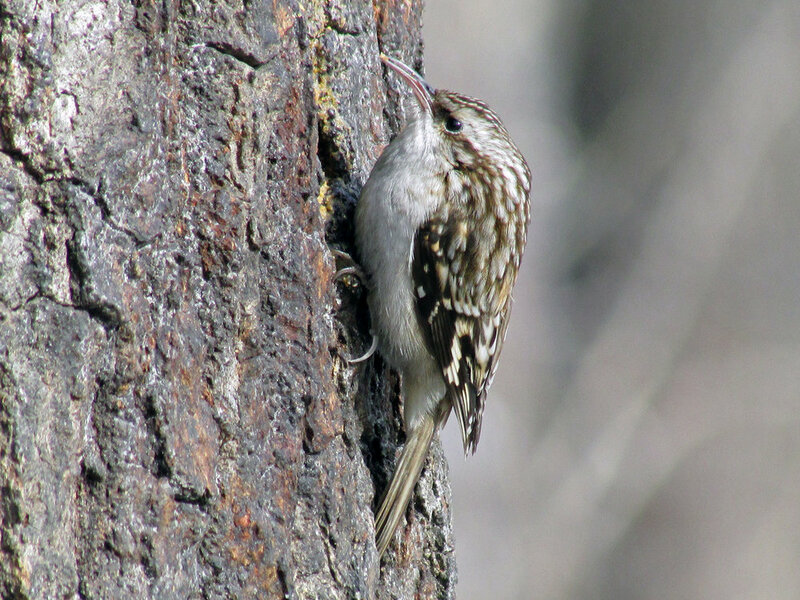 Brown creepers (Certhia americana) are small woodland birds that "creep" up trees digging for insects with their long bills. 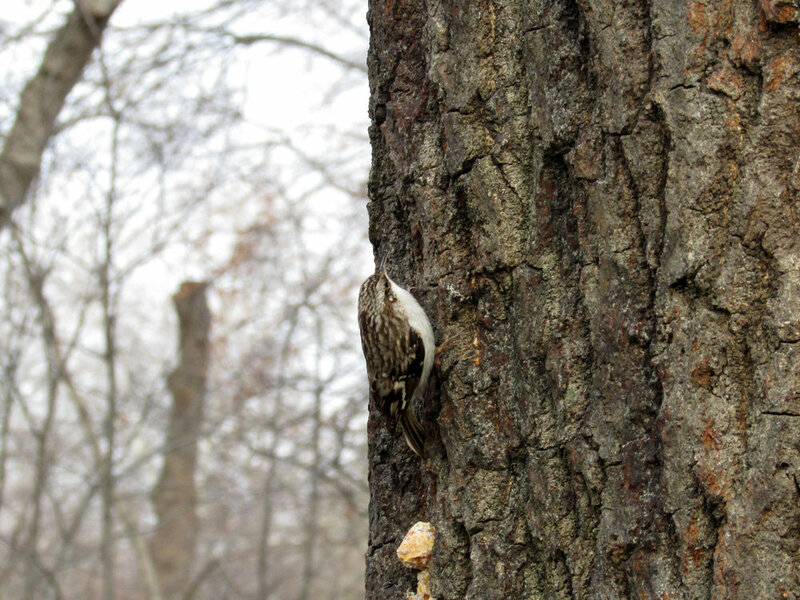 When they get high enough, they spiral down to the base of the tree and start up again. 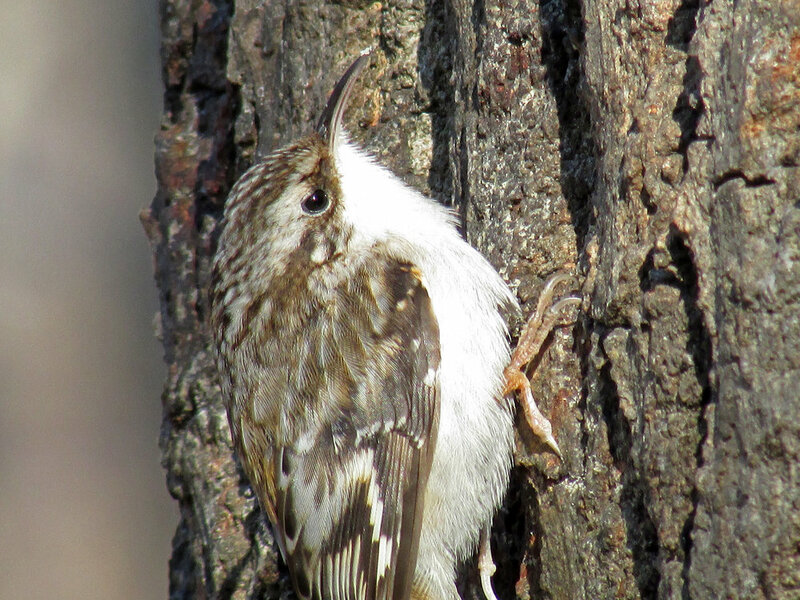 The brown creepers on this page were photographed in Central Park from 2013 to 2018. 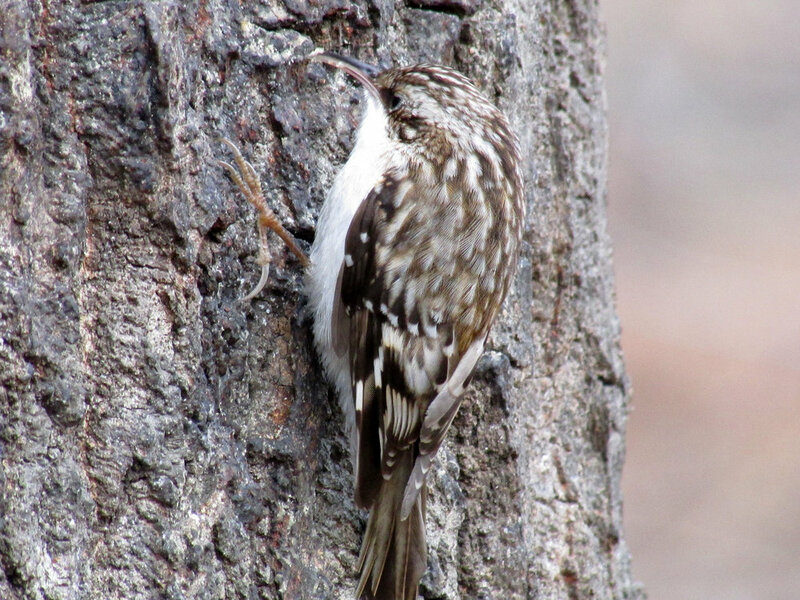 The Filming the Feathers video was shot between 2013 and March 2018. 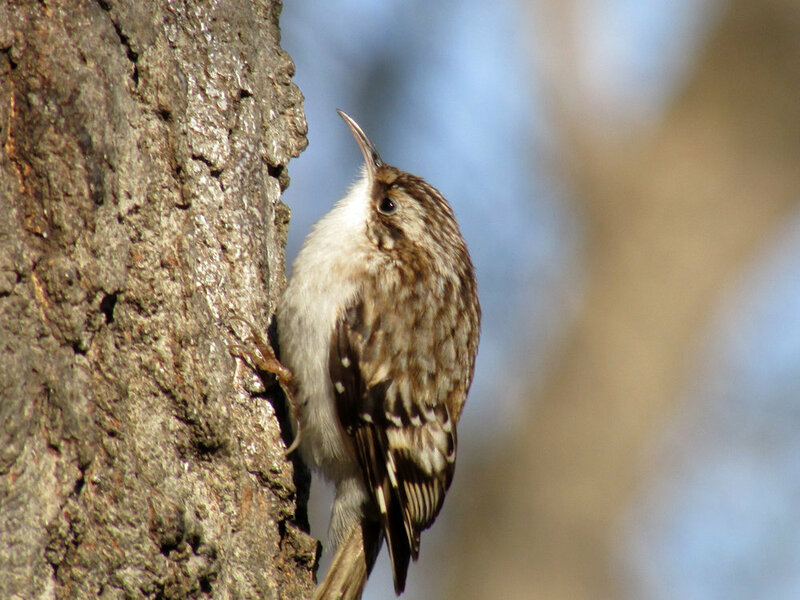 It is set to four Humoresques by Grieg, performed by Papalin and obtained from MusOpen.org, a royalty-free music source. 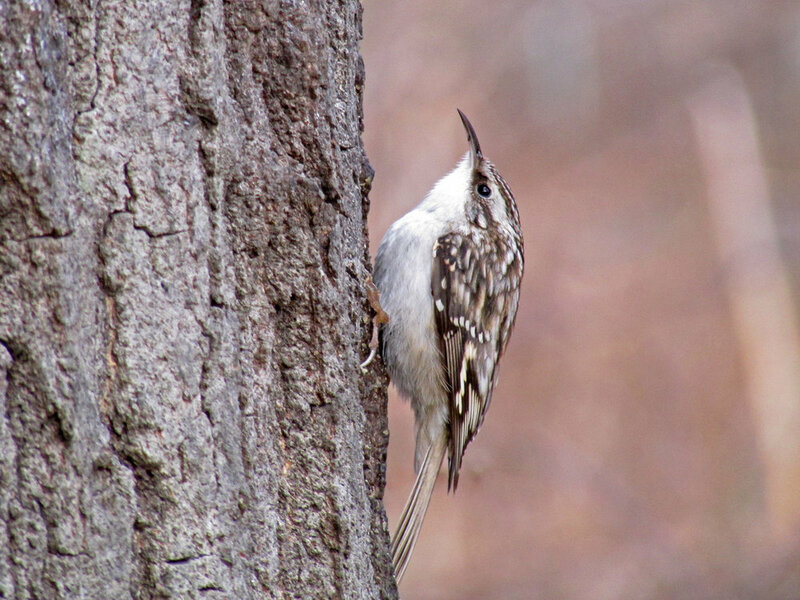 These shots were taken from 2013 to March 2018 in Central Park.